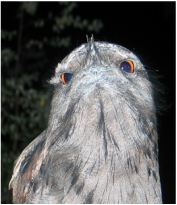 ​This bird is a Tawny Frogmouth Nightjar. 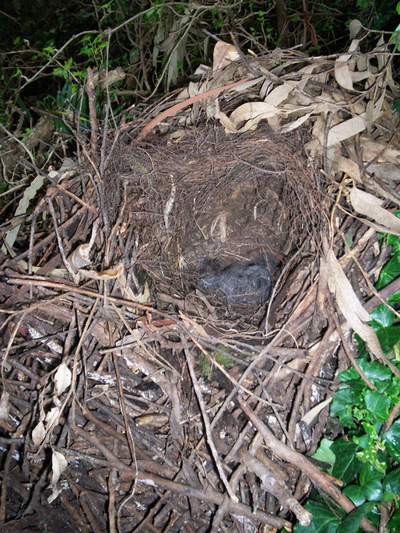 They are often called owls as they are nocturnal. However, the frogmouth catches its prey with its mouth, not its feet as do owls. The frogmouth swa﻿llows its food whole, whereas an owl bites off chunks, starting at the head. 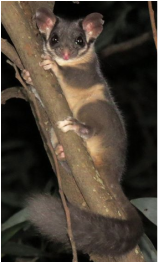 It was sit﻿ting on the fence of Badger Creek Primary School, possibly trying to catch moths and other insects attracted by the street lights. When disturbed, these birds pretend to be a tree branch, and can be difficult to find in the day time. Badger Weir Picnic Area, Badger Creek (present over a 6 week period), possibly disturbed higher up by timber harvesting on a private property. The Buxton Silver Gum Reserve, Buxton (burnt 2009), in Mountain Swamp Gum forest. Yellow Dog Road, Marysville (burnt 2009), in tea tree, native beech and mixed species eucalypt forest beside the Steavenson's River. The Beauty Spot, Marysville (burnt 2009), in mixed species eucalypt forest. 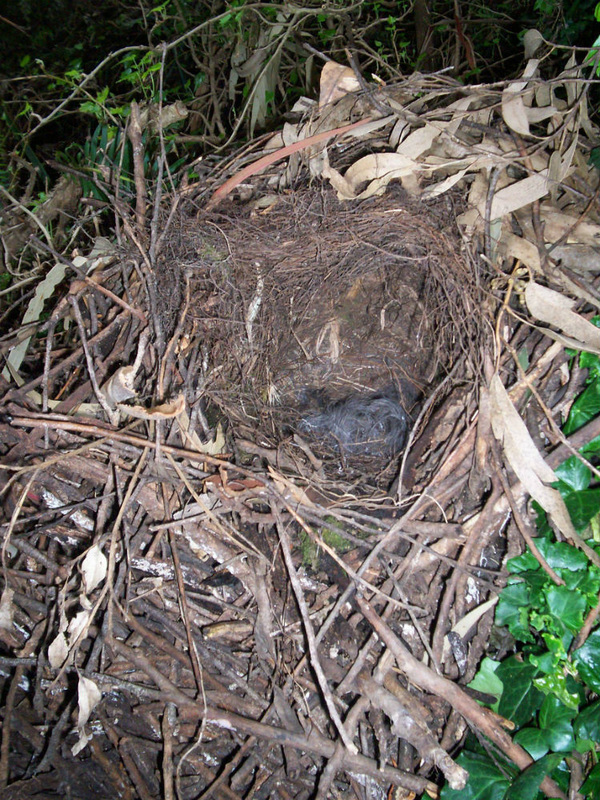 Winter is the breeding time for Superb Lyrebirds. 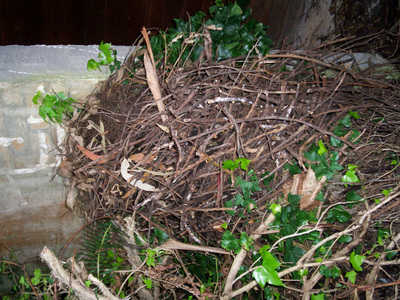 This nest was at the rear door of a holiday house on Mt Toolebewong, and was lined with feathers from the mother.